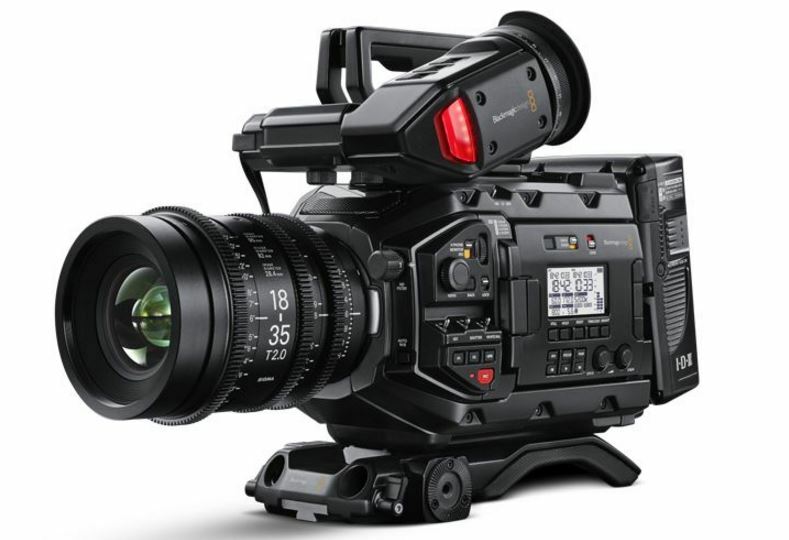 Late last night during a live presentation, Blackmagic Design CEO Grant Petty unveiled the company's latest cinema camera - the URSA Mini Pro 4.6K camera; this time with more ENG controls and ergonomics. Featuring a 4.6K Super 35 sensor capable of frame rates up to 60fps at the highest resolutions, the URSA Mini Pro features some massive improvements over the design of its predecessor. The big changes over the previous model, which is still available for sale, are the addition of built-in ND filters in 2, 4, and 6 stops of strength to aid with more run'n gun work in the documentary and events arena. The ND filters also cut IR contamination, which was known to affect previous models. The new URSA Mini Pro can record in CinemaDNG Raw, Raw 3:1 and 4:1 compression rations as well as Apple ProRes up to 4444 XQ. Slow-motion is possible up to 120fps in a window-ed area of the sensor. In 4.6K the camera is capable of 60fps max, which is quite nice to have as an option. Another major improvement in the new model is the interchangeable mount system - the camera will ship with Canon EF mount as standard, however users have the option of purchasing a PL, B4 and even Nikon F mount (to be released later in the year) and install them without having to send the camera back. UK pricing on the lens mounts have not yet been confirmed, however we expect them to be really affordable. The URSA Mini Pro can now also record onto 2 x SD UHS-II cards in addition to the familiar CFast 2.0. Users need to keep in mind that the SD card slots are only available for Full HD recording, including Raw, and up to Ultra HD ProRes. 4K Raw resolutions require Cfast cards. This is a really nice feature for those planning on using the URSA Mini Pro for more ENG oriented work in a Full HD based workflow, combined with the B4 mount. Users more familiar with ENG style camcorders will be pleased to find ISO, shutter and White Balance controls in easily accessible positions on the operators side, just as one would expect. The URSA Mini Pro is also taking things further, but improving the audio controls and quality of pre-amps, in addition to adding redundancies for power switches and audio controls. 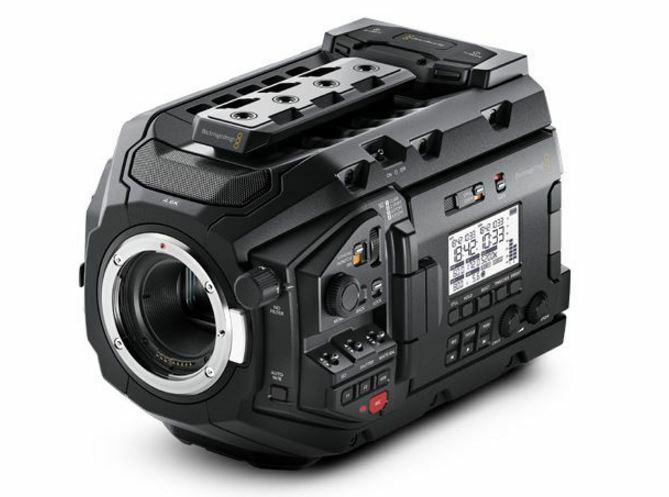 The new Blackmagic URSA Mini Pro is currently priced at £4,919 + VAT (although due to currency exchange rates variations this figure may fluctuate slightly over the next few days), and according to the manufacturer it will start shipping as early as next week. To place your order give us a call on 0208 977 1222.